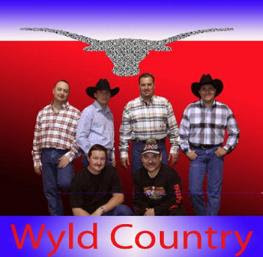 San Miguel County Clerk Paul Maez made the latest issue of Rolling Stone — and it’s not a review of his band Wyld Country. The article, by Robert F. Kennedy Jr. and Greg Palast, is about voter disenfranchisement and it tells about the disaster that was the Democratic Party Caucus in February. It’s worth noting that the caucus was not run by the state or the various counties, but by the Democratic Party itself. The party did get its lists from the state, but nobody ever has explained what caused the problems, which led to thousands of provisional ballots being cast, which led to the final results not being known for two weeks. (Hillary Clinton beat Barack Obama by just a hair.) The party in April canceled a scheduled summit to discuss the problems. That company is ES&S, which has denied any role in the caucus problems. “ES&S’ role related to the New Mexico voter registration database is limited to providing centralized voter registration software, working with the state to implement the centralized system and providing technical support in using the system,” a company spokeswoman told the Associated Press in February. Another New Mexican quoted in the Rolling Stone story is state Auditor Hector Balderas, who also found his name missing from the voter list during the February caucus. Maez has been at the center of one of the major flaps in Jerome Block Jr.’s PRC campaign. Block admitted lying about $2,500 in public campaign funds that he reported was paid to Wyld Country. Block had maintained that the band had performed at a May 3 rally. But he later admitted the rally never took place after two band members told newspapers there never was such a performance. The New Mexico secretary of state has recommended fines totaling $11,000 for Block and has said Block should return another $10,000 of the public campaign funds he accepted. Pied Piping: Gov. Bill Richardson on Wednesday practiced what he’s been preaching around the country — he voted early. Richardson was in Florida last week campaigning for Obama. 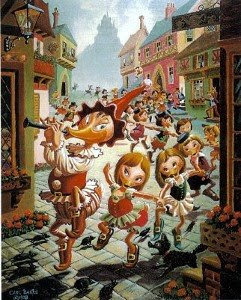 So if Richardson is the Pied Piper, I guess that makes me a rat. Right after his speech, I went back to the County Courthouse and voted. I have to bust myself for hypocrisy here. A couple of weeks ago, while covering a political event, I was asked by a nice woman to vote early and I told her something to the effect that early voting was for Communists. Election Day is a nice American tradition and I usually enjoy going to the school near my house, seeing my neighbors, etc. The wait turned out to be only around five minutes. And while I didn’t see any of my neighbors, I did see several friends and acquaintances, including a certain television reporter whose voting experience took much longer than mine. He “spoiled” his first ballot by accidentally voting both ways on a judicial retention question, so he had to wait for a second ballot. Latest from Rasmussen: Obama is leading Republican John McCain 54 percent to 44 percent in New Mexico, according to the latest Rasmussen poll released Wednesday. In the Senate race, Democrat Tom Udall leads Republican Steve Pearce “by a wide margin,” according to the Rasmussen Web site, but the actual numbers won’t be released until today. The telephone survey of 500 likely voters in New Mexico was conducted by Rasmussen Reports on Tuesday. The margin of error is 4.5 percent. Got Clout? Richard Greene, host of Air America’s radio show Clout tonight will broadcast his show live from The Santa Fe Film Center, 1616 St. Michael’s Drive. The two-hour show starts at 7 p.m. and admission is free to the first 100. Air America, a liberal talk-show network, broadcasts in Santa Fe on KTRC-1260 AM.